15th-22nd June 2019 and 15th-22nd September. This lovingly crafted retreat takes you on journey to get back in touch with yourself and rediscover the voice that whispers the truth within yourself. The picturesque, calm surroundings of the Gea Viva retreat camp and the waters of the Adriatic sea, invite you to delve deeply into nature. Experience its mystic and creative powers, fall asleep to the sounds of nature, enjoy delicious vegetarian food and nature`s vibes. 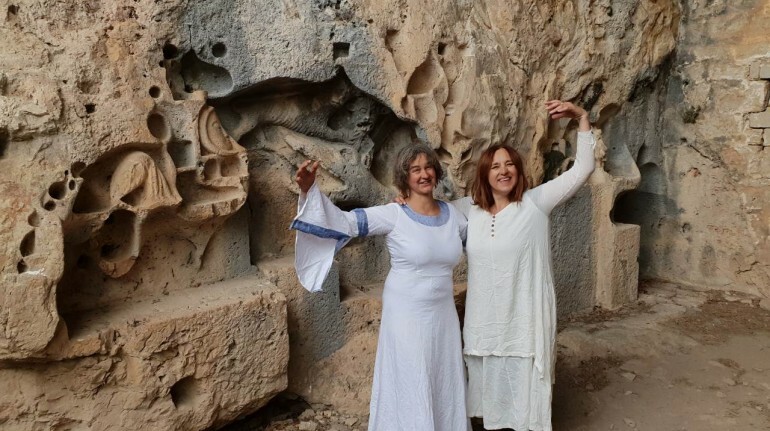 Explore a new way of being through dance, meditation, gathering in a sacred circle, ceremony, art and connecting with the hidden layers of nature. Connect to your authentic self and unleash your wild, wise inner woman. Our process will be supported by mysterious and powerful places in the landscape, its create energies and the Dragon’s cave. This cove's energies feel to be linked with Hestia/Vesta, the ancient Greek/Roman goddess of the hearth, fire and the state. Resting firmly within herself, Hestia creates the magic that brings people together. 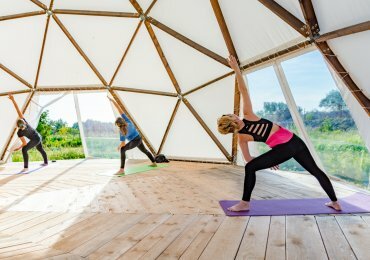 This retreat will run every day from 9.00 - 13.00, with occasional evening sessions. We will enjoy sacred circles, dance, Yoga, meditations, be creative and celebrate. The free afternoons allow time to rest, to be alone or in company or to spend time on the beach etc. The retreat starts on the first day at 18.00 hrs and will finish on the second to last day with an evening celebration. The last day is the leaving day. 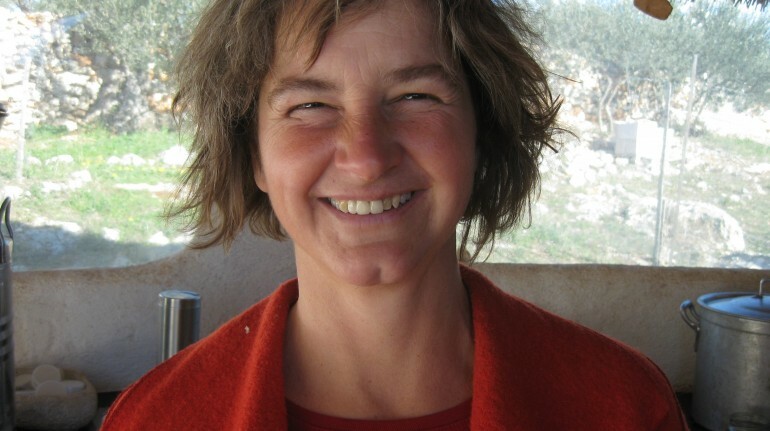 An experienced workshop leader, Sabine Engelhardt is a geomancer, architect, Yoga teacher and innitiator of the Gea Viva project. 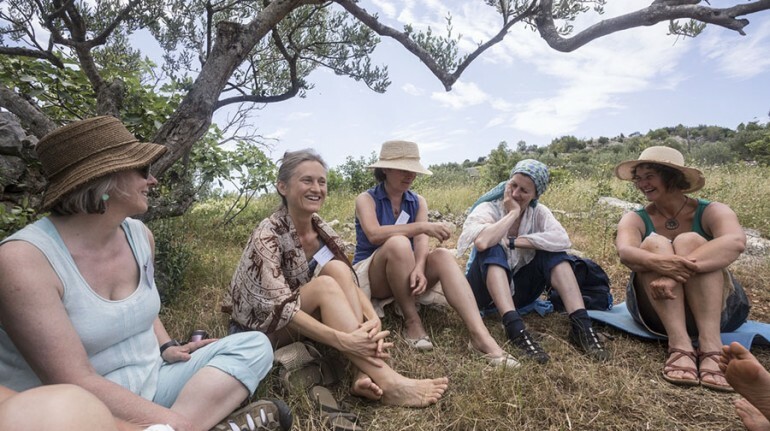 Cultivating the connection with the sacred, unseen layers of the Earth over many years, Sabine has brought together many groups exploring Earth energies in creative, collaborative processes and initiated two Earth acupuncture circles. She carries out space clearings and researches the Devine feminie. Sabine is passionate about supporting individuals in communicating with the wisdom of nature, getting in touch with their inner guidance and finding their unique expression. To secure your place on the course, please pay the deposit of 150 Euros at the time of your registration. 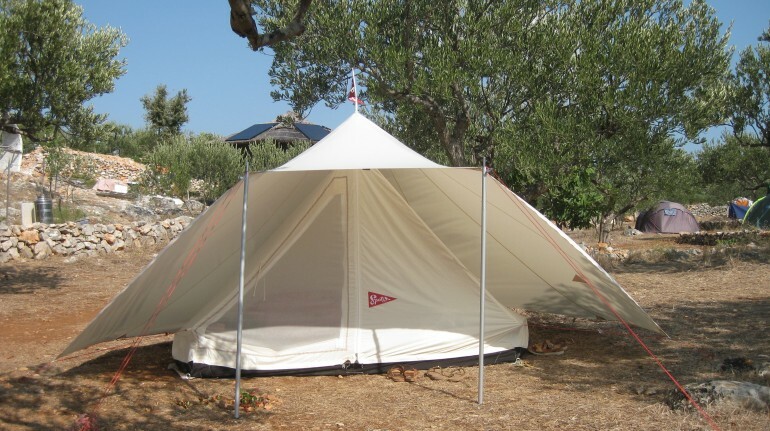 Payments are by bank transfer in Croatian Kunas (HRK) or Euros or in cash. The deadline for registrations is three days before the beginning of the event. The nearest city is Split, which can be reached by plane, ferry, rail, coach and car. From there you can catch a passenger ferry directly to Milna on Brac or travel via Supetar with the car ferry (more frequent). Please bring comfortable clothing, something glamorous to wear for a special ceremony, sturdy boots for walks, a notebook, a hat and sunscreen.